This is in reply to two ‘sports’ related individuals around the Sports Complex who had spotted us taking photographs around the Woodlands in front of the Sports Complex (for our dissertation and not what they had in mind). They told us that most of the trees around the Sports Complex, that have been marked are dead anyways, with just a thick stem and no significant leaves, etc. – a fact which is FAR from the ground reality. With just a single thick stem (apparently its been cut from above), this tree best fits the exact description of ‘all’ the trees in the campus as was given by one of the above-mentioned two individuals. And, so we had a closer look. This is what we found. 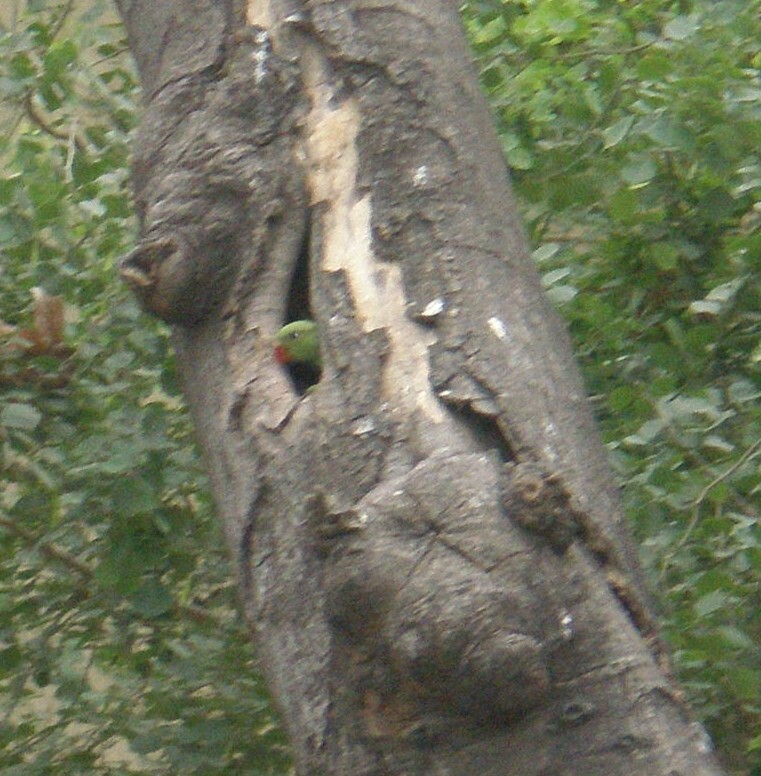 A parrot family has occupied the small opening in the tree’s trunk. A little above this, a mynah’s young one can be found trying to move out of another opening that opens to the sky and getting itself acquainted with the neighbourhood. The fact of the matter is that even those trees that seem “dead” to people (like the ones mentioned), are not only living but are also providing refuge to several species of birds and insects. Besides, the fall season has just gotten over and probably the above-mentioned individuals mistook autumn as a mass suicide that the trees chose for themselves! As is evident, there is a LOT of misconception among people about the trees, their role in a healthy ecosystem, the indispensable ecological services they provide, etc. We, the students of the School of Environmental Studies have therefore pledged to initiate a ‘Tree Awareness Campaign’ and we will start working on the same, the moment we are done with our Semester exams. 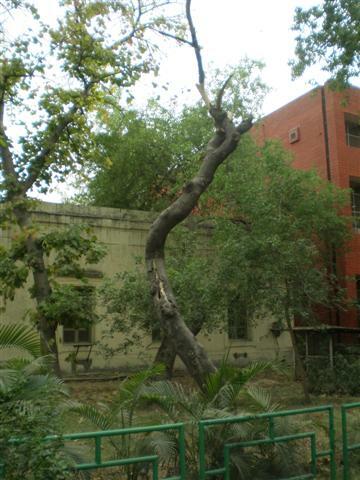 Starting with the Delhi University itself, we will do all that is in our capacity (and even more) to inform each and every citizen of Delhi about the importance of some ‘heritage’ trees in making Delhi, what it is! Next1 down, 1000 more to go? What a cute parrot, please save this tree..it is looking so good.